In the mid-2000s the Hunter Valley was home to some of Australia’s most successful volume brands, from Tyrrell’s Long Flat to Mount Pleasant’s Elizabeth. The region’s winemakers were raking in orders from around the world and enjoying huge growth as a result, but they were not particularly happy. 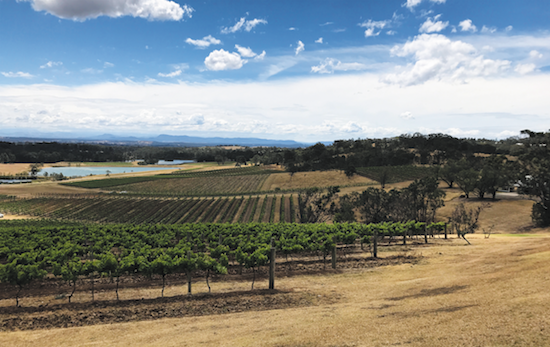 “We were turning a lot of fruit over and not doing what we wanted to do,” says fourth-generation winemaker Bruce Tyrrell, who took the bold decision to sell Long Flat to Cheviot Bridge in 2003 and focus on quality instead of quantity. He believes that now, after 14 long years spent trying to improve its standing among the trade and consumers, Tyrrell’s has finally earned a reputation as a producer of high-quality wines. “Now we are focusing on the things we want to do and not chasing volume,” he says. “We do 2,000 tonnes now. In the days of the Long Flat brand we did 7,000 tonnes. We were so successful that we weren’t taken seriously for our other wines. While Tyrrell was mulling over the decision to sell Long Flat, Mount Pleasant was churning out 100,000 cases of $10 Elizabeth Semillon. But the advent of Marlborough Sauvignon Blanc hit the Australian industry and it too decided to focus instead on quality. After an embarrassment of fantastic points scores, it was named Australian wine expert James Halliday’s Winery of the Year 2017 – the first win for a Hunter Valley winery in many a year. His views are echoed by Jeff Byrne, who was mentored by the legendary Len Evans in the Hunter before progressing to chief winemaker at Agnew Wines, which produces Audrey Wilkinson, Cockfighter’s Ghost and Pooles Rock. “As a community we have worked very collegiately together to improve the wines,” he says. “Historically, when people from overseas think of Australian wines they know the Barossa and Hunter. It’s important that once you get people here, you have the wines to back it up. We have worked very hard on Semillon, on our unique wine style, which you don’t get anywhere else. We have worked hard to get the standard of Shiraz up to its best quality, and Chardonnay has absolutely taken off for the whole region. This is the home of Australian Chardonnay. One key change is dialling back of the use of oak – something apparent across Australia – but winemakers have to be careful not to go too far. “We are backing off new oak,” says Tyrrell. “It used to be two-thirds. Now it’s 15-20% to let the fruit shine through and produce more modern Chardonnay. The world’s view of Chardonnay has changed and the big, oaky ones have gone. We still want texture and structure. We don’t want to go too far. We don’t have too much time on the lees. “What makes the difference is the gear: the filters, the presses, the pumps. The biggest single quality impact was refrigeration. The science around us has also helped. Many aficionados would consider it madness to open a Hunter Semillon young, but Sturgess says Brokenwood is trying to make sure it can be enjoyed in this way. “We have been working on trying to have fruit sitting around the acid core, to have ageability without just being a time capsule, to make it more appealing to drink younger,” she says. Tyrrell is also raving about the Shiraz produced in 2014. “The two great red vintages in my lifetime are 2014 and 1965,” he says, a ringing endorsement if ever there were one. Sparks at Mount Pleasant adds: “The 2014 vintage was a freak vintage and that got everyone talking about us and we have held that position through a tough 2015. “For the reds in 2017 we pulled more oak back in. There’s the separation of vineyard blocks, showcasing of aged vines. We have Shiraz vines planted in 1880. We need to make sure the story is not lost. If there are two blocks next to each other you can taste the vine age and they are completely different wines.